BACK PAIN SUFFERERS ARE GETTING RESULTS WITH OUR NON-SURGICAL SPINE AND BACK PAIN RELIEF PROGRAM IN Columbia, MO. We offer drug free back pain treatments and look forward to helping you with back surgery alternatives. 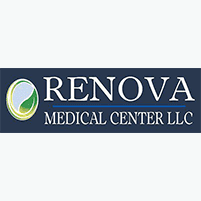 Renova Medical Center in Columbia is excited to offer a unique approach to back pain, spine pain, and chronic pain which has been used successfully in treating tens of thousands of back pain sufferers who did not want to live with the pain. Do you experience any of these symptoms regularly? Do you “throw out your back” easily? If you answered yes to any of the above, the question is, will it get worse?? Most back pain comes from conditions that are degenerative in nature and that do not heal naturally without treatment. This means your back pain will probably get worse over time, not better. The longer you go without effective treatment for back pain or spine pain, the greater your chance for extensive damage. We offer non surgical back pain treatment for back pain relief and spine pain. Many back problems can be fixed over time with the correct treatment plans. That’s why we offer back surgery alternatives and spinal fusion alternatives. To find out more, call our office at 573-234-1367.